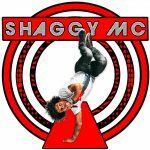 Check out Shaggy MC’s Twitter, Youtube, Snapchat & Instagram Feed and make sure you follow him on both channels! He posts new photos and videos every week, he also gives updates about upcoming events! Voor mij de grootste winnaar van het NK hiphop @dutch_dance_sports! Watch that BTC going up ! R U still with me on that #cryptocurrency ? !